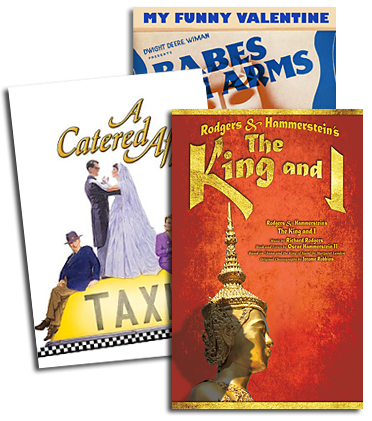 Charles Strouse, the Tony, Grammy and Emmy Award-winning composer of such internationally beloved musicals as ANNIE, BYE BYE BIRDIE, APPLAUSE and GOLDEN BOY, has brought his vast music publishing portfolio to Williamson Music. ""We are honored to welcome Charles,"" says Maxyne Lang, President of Williamson Music. ""His amazing output of songs in the Broadway, Hollywood and pop arenas is a perfect fit for the classic catalogues we are privileged to represent."" Next year marks Charles Strouse's 80th birthday, and a special committee has been assembled to celebrate this milestone event, which will include productions of Strouse concert and dance works, recordings (compilations and new) and songbook folios, among other projects. The committee's members include industry leaders from the music, stage and concert worlds, including heads of the other theatrical licensing agencies that represent some of Strouse's greatest musicals. The committee's members are: Sargent Aborn (Tams-Witmark Music Library); Ted Chapin (The Rodgers & Hammerstein Organization); Freddie Gershon (Music Theater International); Maxyne Lang (Williamson Music); Keith Mardak (Hal Leonard Corp.); and Karen Sherry (ASCAP). Representing Strouse in the United Kingdom: John Schofield (Josef Weinberger Ltd) and Caroline Underwood (Warner-Chappell Music.) 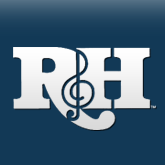 Williamson Music, a division of The Rodgers & Hammerstein Organization, will tap into the parent organization's resources and various departments to fully honor the rich and vibrant Strouse music catalogue. Says R&H Organization President Ted Chapin: ""We are delighted to have Charles' songwriting catalogue under our roof. We thrive on handling the work of great music theater writers, and the songs Charles has written through the years feel as if they've always belonged here."" Williamson Music's Maxyne Lang agrees. ""Charles' music covers a breathtaking array of mood and feeling,"" she says, ""and we want to celebrate it all. His song roster is amazing - and wonderful: Put On A Happy Face,' Tomorrow,' Once Upon A Time,' Born Too Late,' You've Got Possibilities,' A Lot Of Livin',' Those Were The Days,' Blame It On The Summer Night,' N.Y.C.,' and Welcome To The Theater', to name just a few."" For more, please visit www.williamsonmusic.com or www.charlesstrouse.com.